Roses Of Different Colors is a photograph by Bruce Bley which was uploaded on January 20th, 2013. This photograph was taken on a recent visit to a local supermarket. I loved how the variety of colors of the roses were bunched. It made for a colorful and unique photograph. I hope you have enjoyed this photograph and will share it with others. Thank you for visiting and please come back. Thank you for the kind comment, Marsha. I truly appreciate it. Thank you for the kind and gracious comment, Robyn. I sincerely appreciate it. Thank you so much for the nice comment, MTBobbins. I truly appreciate it. Thank you for the kind comment and Like, Corey. I sincerely appreciate it. Thank you for the kind compliment and vote, Joe. I truly appreciate it. Thank you for the kind and gracious words, EMONA Art. I truly appreciate it. Thank you for the comment and vote, Jim. I really appreciate it. Thank you for the kind words, and vote, Angela. I truly appreciate it. Thank you for the feature in the group "Wisconsin Flowers and Scenery", Randy. I appreciate it and thank you for all the work you do for our group. 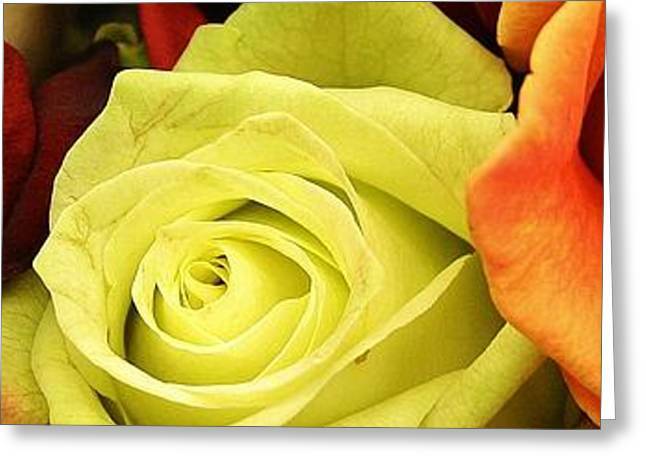 I love this long horizontal rendition and colors of roses, Bruce! Thank you, Jenny. I appreciate your comment. Thank you for the kind words, and vote, Randy. I greatly appreciate it. Thank you for the kind and gracious words, Mary. I appreciate it.